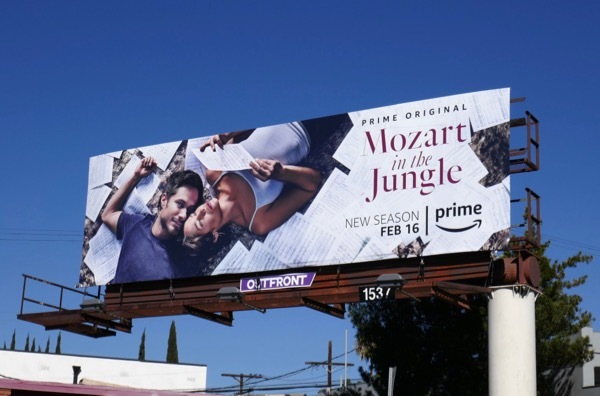 In the fourth season of Mozart in the Jungle, Gael García Bernal's 'Rodrigo' and Lola Kirke's 'Hailey' take their romance public. In these all-new episodes the Maestro is having difficulty finding his inspiration, whilst Hailey struggles to move on from playing the oboe in an orchestra and make it as conductor. The new season of the Golden Globe and Emmy-winning dramedy also sees the return of Malcolm McDowell, Bernadette Peters, Saffron Burrows, Hannah Dunne and Debra Monk as those associated with the New York orchestra and their friends, and new faces in guest stars Masi Oka and Michael Emerson. 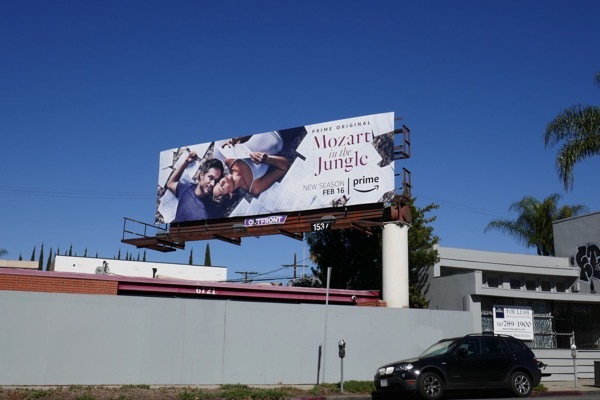 These season four sheet music billboards were snapped above Westwood Boulevard and along Melrose Avenue from February 4 to February 8, 2018. 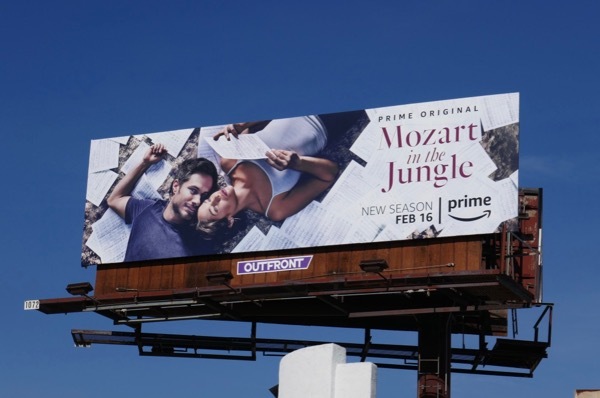 If you're a fan of the charming Amazon show, you can also enjoy these previous season promo and awards consideration billboards for Mozart in the Jungle. 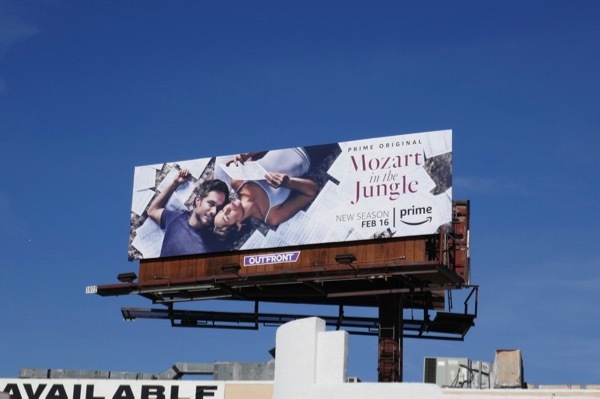 The jet-setting series has already traveled from New York to Mexico and Venice, Italy, and this time around their adventures take them to Japan, proving again that music can transcend culture, unite people all over the world and has no borders.